The Conservation Federation of Missouri (CFM) has long been a catalyst for engaging citizens in conserving Missouri’s natural resources. With the growth of urban areas and increased population, it is essential that the strong conservation heritage of Missourians be passed on from generation to generation. To achieve this goal, the CFM sponsors a special multi-year program. The Conservation Leadership Corps (CLC) offers high school and college students a unique opportunity to influence conservation policy and actions. The CLC promotes leadership for the next generation by engaging students in the politics of conservation. Students develop personal conservation leadership skills that requires teamwork with their peers during the resolution writing process. They are accepted as full voting members at the Annual Meeting and are invited to participate in committee discussions. The issue resolutions they research and develop in teams are submitted to the Federation’s voting membership. If approved, they carry the same weight as any other CFM policy resolution and become part of the basis for the Federation’s political activity throughout the year. 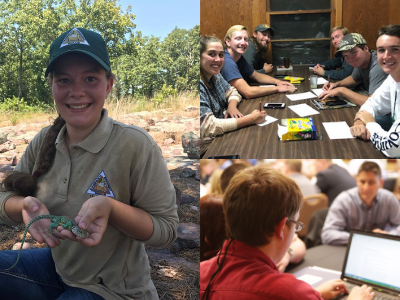 The program also allows students the opportunity to meet and interact with resource professionals from the Missouri Department of Conservation, the Department of Natural Resources and other conservation organizations statewide. Students are encouraged to engage and volunteer in at least two of numerous conservation activities offered throughout the year with other CLC students. Volunteer opportunities include CFM Explore the Outdoors Regional events, Pull for Conservation, Prairie Fork Work Days, Stream team clean-ups, or affiliate events. The goal of the program is that no matter where their chosen careers lead them, e.g., lawyer, doctor, accountant, engineer, journalist, forester, wildlife biologist, etc., the CLC participants are prepared to personally influence policy and actions that will contribute to the conservation of Missouri’s natural resources. The program is highly regarded by the Missouri Department of Conservation, the Missouri Department of Natural Resources and other conservation organizations and is beneficial for internship and job opportunities. The program is a resume builder. Applications are due by May 1, 2019 for the 2019-2020 school year. 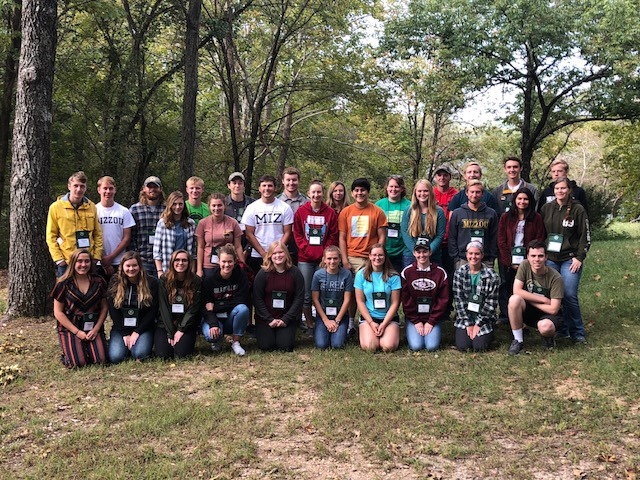 Students who have completed at least two years as a member of the Conservation Federation of Missouri’s (CFM) Conservation Leadership Corps AND who have attended at least 4 CLC events are eligible for a Student Conservation Achievement (SCA) Award. Students must also be able to show evidence of volunteer hours/experience during their time with the CLC. Awards are presented at the CFM annual meeting. Student must be in good standing within the program. Application for the award indicates that this will be the students last year in the program even if the student is not graduating. The Conservation Leadership Corps (CLC) is a multi-year youth education program for high school juniors and seniors and college students. The goal is to engage youth in sustaining the conservation of our natural resources, and to develop the next generation of conservation leaders. Fall Workshop – Spend a fall weekend at Lake of the Ozarks where students sleep in cabins, sit around the lakeside bonfire, hone leadership skills and start the resolution drafting process. Internship and Volunteer Opportunities – With over 100 CFM affiliates, there are hundreds of volunteer opportunities throughout the year. CLC students have a foot in the door for internships, and often catch wind of opportunities early through affiliate connections. Prairie Fork Workday – CLC students and alums enjoy special access to the beautiful Prairie Fork Conservation Area for a work day restoring and maintaining Prairie Fork. Free Steak Dinner – Get dressed up, attend the banquet and live auction on Saturday evening, and network with directors and professionals from statewide and national conservation organizations. 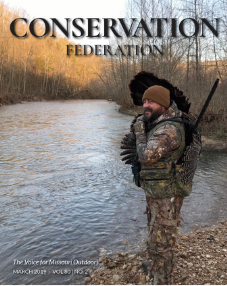 Get Connected with the Conservation Federation of Missouri – Join the largest voice for conservation in Missouri – CFM! Be part of making a difference.